Music fans may be able to find some good tunes today for super cheap thanks to Google’s latest Leap Day deal. 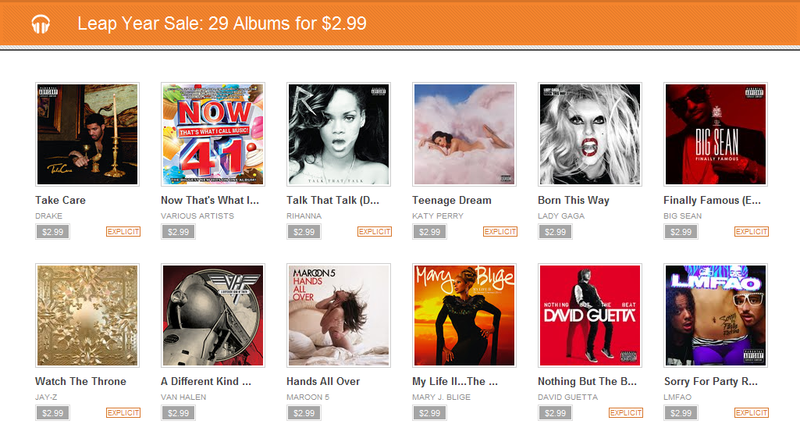 For today only, you can take your pick from 29 albums for only $2.99. There’s Big Sean, Dr. Dre, Maroon 5, and a ton of other top artists. Go get it.